You are here: Home / All Posts / Montreal-based graffiti crew A’shop’s nod to Mucha! 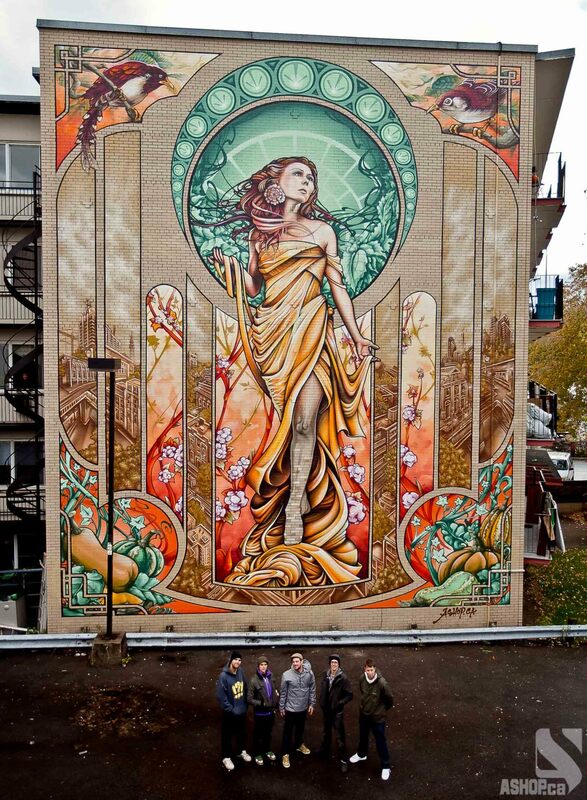 Montreal Street Art Crew Goes Mucha! 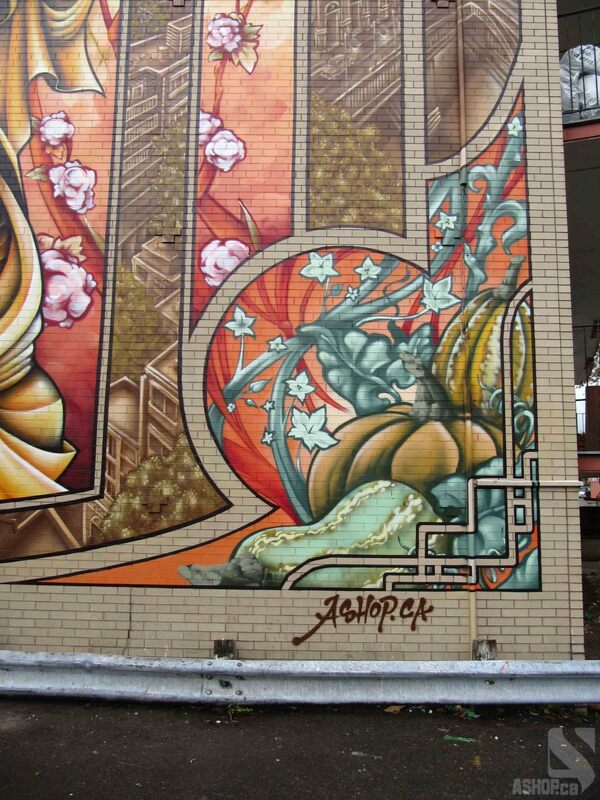 Montreal’s graffiti crew known as A’shop transform a boring side of a building into amazing piece of street art. 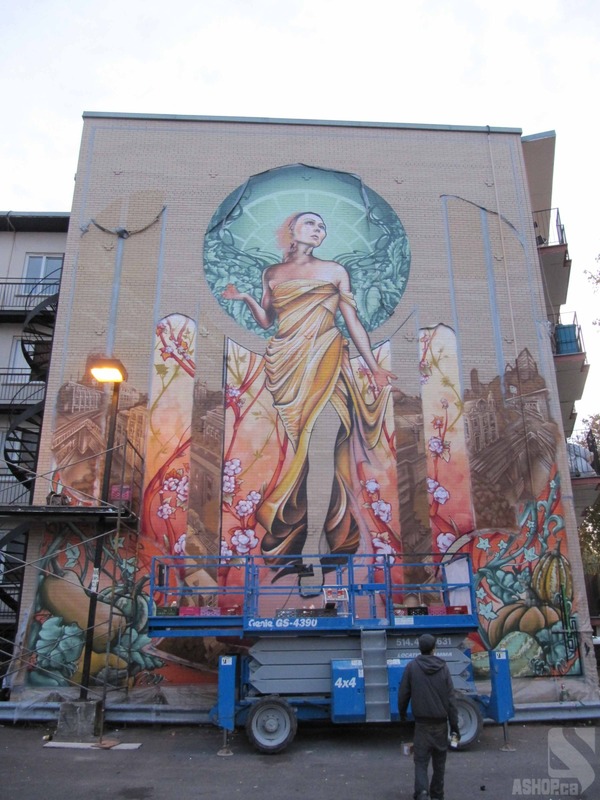 A’Shop artists: Fluke, Guillaume Lapointe, Antonin Lambert, DoDo Ose and Bruno Rathbone worked 16 days from dawn till dusk in order to complete the incredible five-storey mural. Known as the “N.D.G. 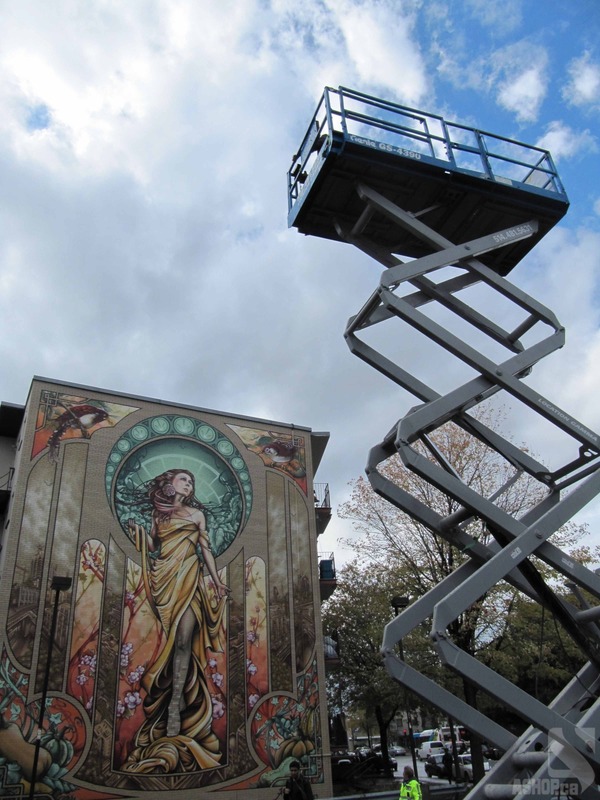 Project” (after its location), the giant graffiti artwork is a modern take on “Our Lady of Grace” and was inspired by the work of Czech art nouveau painter Alphonse Mucha. Which is, if you know me at all, the reason this work is so close to my heart. 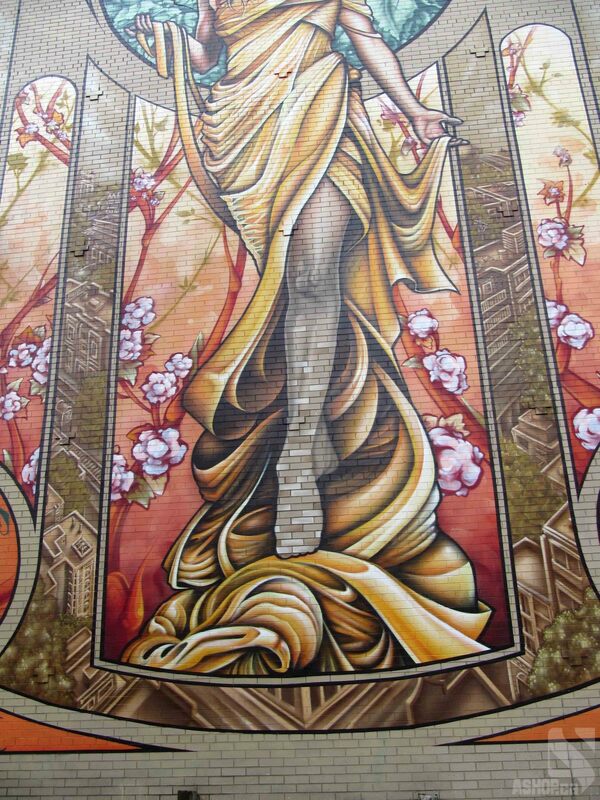 Mucha is one of the first artists (outside the comic world) to rock my world and expand my artistic tastes. 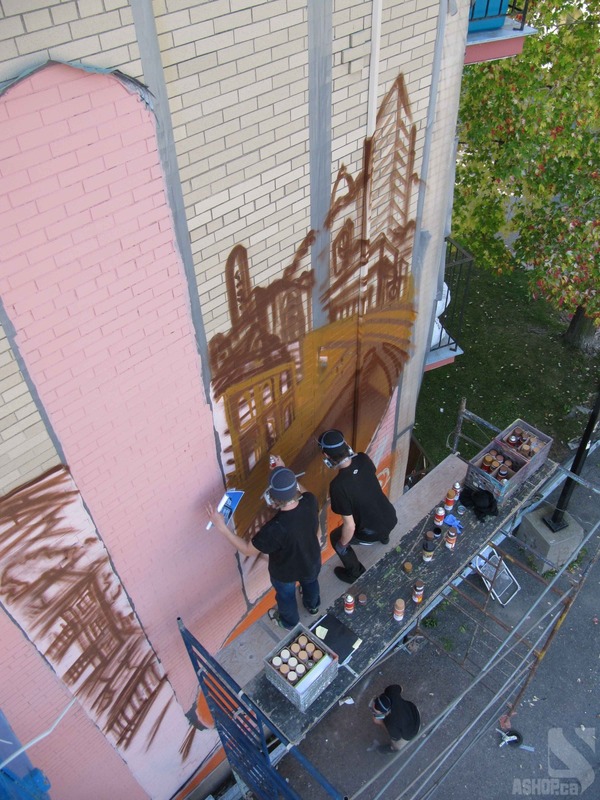 “The main thing that struck us was the public’s reaction while we were painting the mural. Some people gave us the cold shoulder at first, thinking we were painting an ad. Then when they realized we were reviving an old wall with a mural, they were came back to see us everyday. That really fueled us. Within days we had the whole community involved. People invited us for lunch and the Jamaicans at the local barber shop were giving us high-fives!” A’shop member Fluke told the Montreal Gazette. He added that the group hopes the N.D.G. 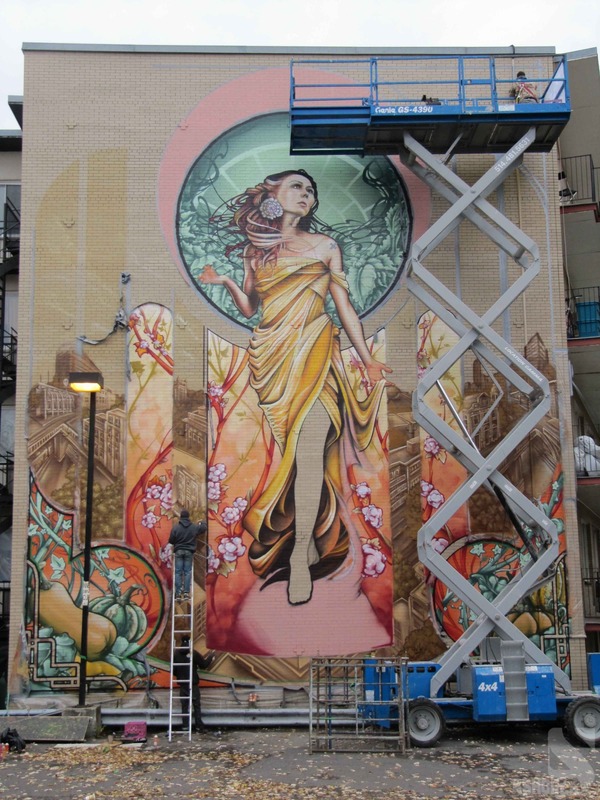 project inspires other Montreal neighborhoods to adopt murals of their own, because the Canadian city has way too much gray and its architecture is perfect for a wide-scale mural campaign. A’Shop, for your killer, Mucha inspired, 5 story artwork (that took over 500 cans of paint) Give Us Art! salutes the hell out of you! « That Street Vibe! 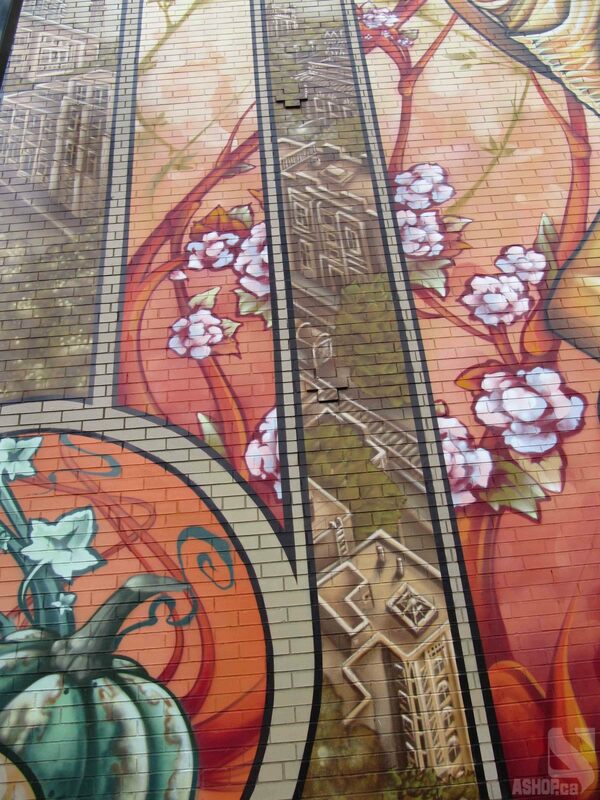 Cool Street Art in Portland, OR! That is so awsome….I think all buildings should have some kind of art…all varieties of art have a place somewhere…I think it would be great if more was displayed outside in giant sizes…..just like A’Shop and Wayland….makes the world a more pleasant place for everyone!! Giving talented artists a chance to get their art out there for the whole world to see and making our society a more beautiful place….why would we do that?